(NEW ORLEANS) -- The Orleans Parish Coroner’s Office has positively identified the body found in a local bayou as that of missing 2nd grade teacher Terrilyn Monette, 26. Authorities performed the autopsy early Monday and made their findings public through a statement released in the afternoon. 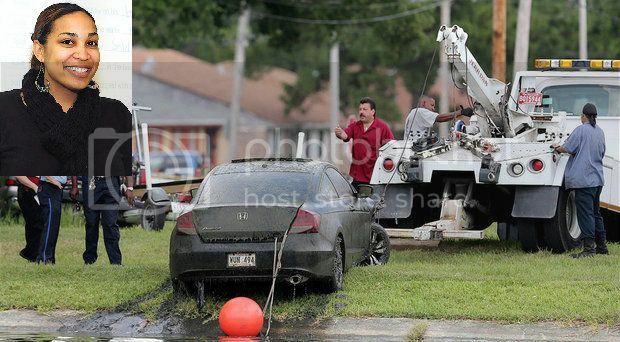 The body, which was found in the driver’s seat of Monette’s two-door Honda Civic, submerged in St. John’s Bayou, was identified using dental records provided by her family. According to New Orleans news affiliate WDSU, a team of forensic dentists from LSU Health Sciences Center New Orleans School of Dentistry helped with the investigation. The Coroner’s Office statement reported there was no trauma to the body, a fact which caused authorities to rule drowning as the cause of death. As is standard, the Coroner’s Office has collected samples for a toxicology screening, however they are still awaiting the results of these tests. Community members and colleagues of Monette’s gathered at the location where her car and body were found to pay their respects to the teacher who was reported missing on March 2nd after a night of partying at a bar with friends. “It was nice to be together today to support each other,” said Amy Hoyle, the principal of Woodland West, the school where Monette was a 2nd grade teacher. We’re all deeply saddened. Sad for her students, sad for her family, said for ourselves. Terrilyn will be remembered as a blessing; a blessing to her students, that she’s touched forever; a blessing to us her peers, her family…She’s really made a mark on education at Woodland West and in our state. Students are out of school for summer break, but counselors will be at the school tomorrow to talk to teachers who are mourning the loss of their colleague, said Hoyle. The Woodland West community is planning on having a book drive in Terrilyn’s honor and they have also set up an account at Region’s Bank in order to raise funds to help Monette’s family pay for funeral and travel expenses. Some of the people who came to pay their respects to Monette expressed anger that her friends allowed her to leave the bar obviously intoxicated, a fact which has been reported by multiple news outlets. Though Monette’s death was ruled a drowning, some friends and members of the community remain skeptical, believing instead that there was foul play involved in her disappearance and death. “This can’t be the end for us. We’re just not satisfied,” said one of Monette’s fellow teachers at Woodland West who asked not to be identified. According to a news release from the police department, NOPD’s Accident Reconstruction – Fatality Unit investigators will continue to pursue the case by attempting to reconstruct the circumstances that led to Monette’s death. Police said that Third District officers are diligently working to enhance any and all surveillance video that has been collected from cameras throughout the investigation of Monette’s disappearance.